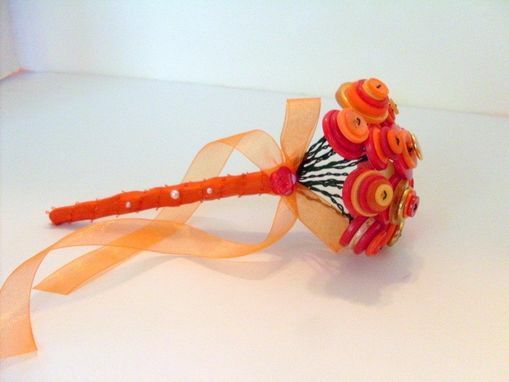 Bouquets that are creatively made out of buttons are perfect for modern weddings. 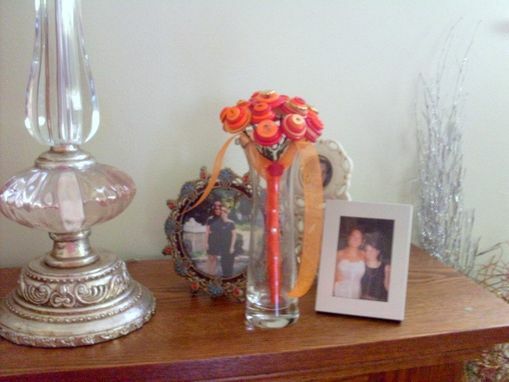 They are sophisticated and make a wonderful keepsake even after the celebration. 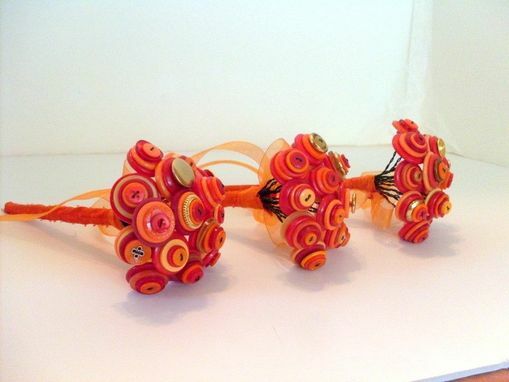 In this set of three toss bouquets, I used orange buttons of different hues. 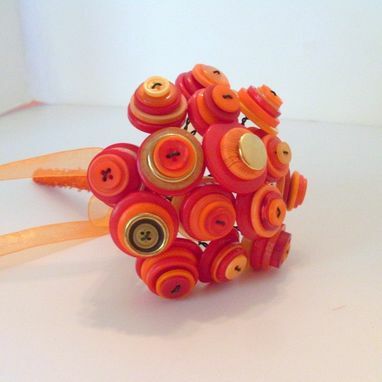 I also used brass buttons for additional elegance. Each bouquet has 15 stems. 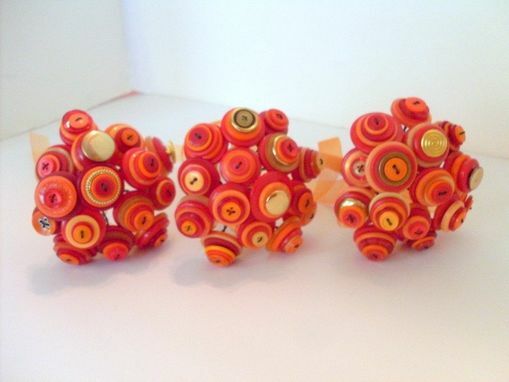 I accept custom color combinations and larger sizes. Please let me know your preferences upon ordering.